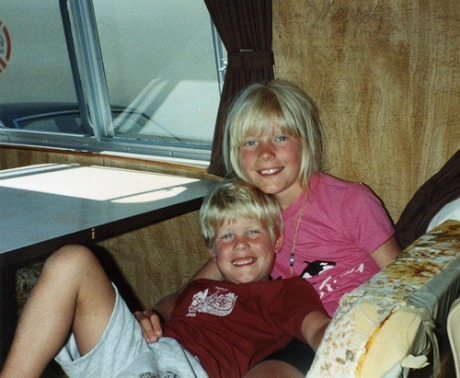 My earliest camping experiences started on Hornby Island. It was an annual summer tradition for my family, a craft that we perfected as the years rolled on. For our first trip, we’d borrowed a small motor-home and a tent from a family friend and forgot nearly half the gear we’d need. On the first night, at Tribune Bay campsites, the sky opened up and rain poured down. My entire family spent a cramped night in the mini motor-home while every camper in the campground sprinted to the Co-Op store in the morning to snag tarps. Since then, my camping experience across the Island has expanded – as have my camping skills. I’m now very familiar with tenting it everywhere from Tofino to Parksville to Miracle Beach. However, after all these years, I still can’t start a campfire to save my life! If you’re considering packing up the family or your friends and finding a place to pitch your tent on the Island, now is the time to start scoping out sites and making a reservation. Many campgrounds across the Island fill up long before the summer months even begin, and spring is when the camping season gets underway. The Island is home to a vast array of wildlife. Stick to trails and appointed campsites, keep all food well-sealed and use your common sense. You’re in their backyard, not vice versa. Unfortunately, forest fires often run rampant in the hot months. Always extinguish your fire and if a fire ban has been put in place, obey the rules. Leave your cigarettes at home. Heading into the back country? Leave a map, itinerary and timeframe with a trusted friend or family member. If you plan on bringing Fido with you, check the campground’s pet regulations in advance. Many will welcome pets but some don’t. Don’t take more than you need but don’t forget the essentials. Food, sleeping bags and cooking utensils are important, but don’t forget bug spray, a first aid kit and waterproof matches. With the wild west coast’s unpredictable weather, you could be peeling off layers one day and sheltering yourself from the rain on the next. Be prepared and bring the necessary gear for any and all weather conditions. 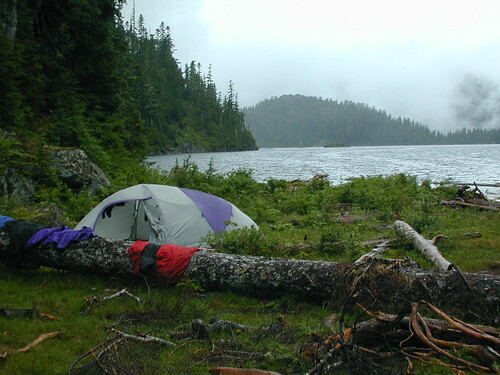 The number of campsites, campgrounds and Provincial parks across Vancouver Island is limitless. If you can imagine your dream camping trip, you can make it happen right here. For more information on camping options, a quick Google search will get you where you need to be, or you can check out Super, Natural British Columbia online for more ideas. 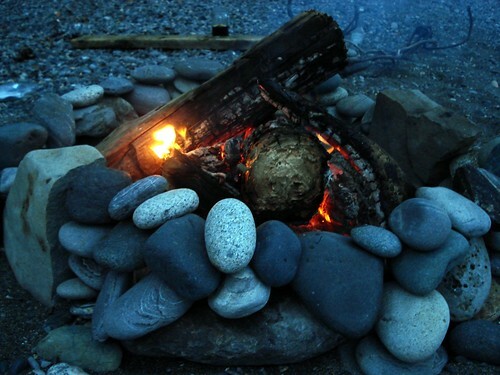 You tell me: where are your favourite spots to go camping on Vancouver Island? I have yet to camp on Hornby Island (will happen in the near future!) 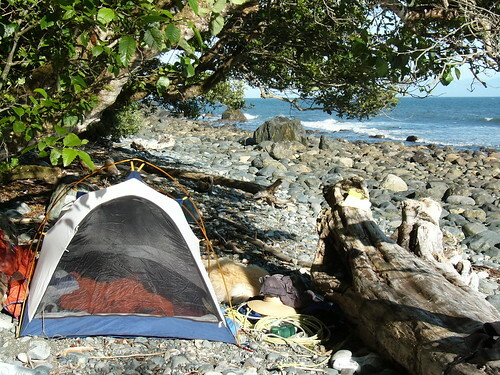 but I think one of my favourite camping spots on the island would have to be Pachena Bay campground near Bamfield. It’s quiet, way off the beaten path, right by the ocean. Basically it’s everything a campsite should be on Vancouver Island! never did camp on the island… all through the interior, yeah, but we never made it to the island with the tent. all my gear has been eyeing me up in the front closet every day just waiting. of course, being alberta, I’ll be ready to head out for the weekend and it’ll dump another foot of snow on the ground. I do want to go back up to tofino and camp around there though. I camped at Sombrio Beach the summer before last and it was fantastic. Beautiful sites right on the beach. Just sit back and watch all the surfers or bring your board and join the fun. Definitely worth a visit. PatZ, come and camp out here with us, show us how to REALLY camp! We had a fun time at Lake Kennedy, camped right on the beach even though it was more like a sandy gravel pit. The view was great though. I’m no expert on the subject but my one advice is to not drive into town, if you can avoid it. Pack everything you need. It was a buzzkill when we did it this weekend so one of our camping buddies could get coffee. I haven’t been camping in forever. I’m going to have to take the kids out this summer I think. Just got to buy all the necessary stuff though I guess.